The Stones of Boston Is the first essay of a book of essays that I am writing about decorative arts and especially architectural decoration. My title references John Ruskin’s famous book, The Stones of Venice in which he chronicles the medieval, Gothic architectural heritage of Venice. Mr. Ruskin was concerned that the eroding powers of the hands of time and the equally heavy handed “restorationists” in the mid nineteenth century were threatening the authentic monuments of the Most Serene Republic of Venice. Here in Boston and indeed throughout the world, I am concerned for the fast disappearing existence of Architecture as the “mother of all arts.” I see our mother losing her children. The progeny of sculpture in stone, ceramic, wood etc, – wrought and cast Iron, copper, bronze and the like – glass mosaic, stained glass windows – Painting of all techniques applied to the built environment and all the accompanying collaborative arts and artists who flourish under the auspices of the fecund mother, giving her a healthy strong family who are in a word, beautiful. The phrase, “architecture is the mother of all arts” arose in the Middle Ages. This was due to the supremacy of the cathedral, which necessitated the execution of sculptures, frescoes (then painting), stained glass, etc. Since the beginning of human history people have decorated their art, artifacts, homes and public structures to help express their compelling urge to record and make available the experiences of an individual’s encounter with the physical and metaphysical worlds. 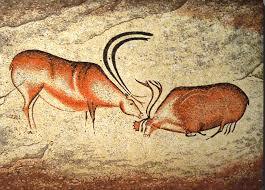 Two early examples of this are the cave paintings found in Lascaux and Chauvet-Pont-d’Arc, France dating back in time approximately 17,300 years. In this way decoration is the language of distillation, searching for a voice to communicate the complexities of perceived reality in an approachable, desirable and harmonic tone that exalts the overwhelming grandeur of nature. Standing at the edge of a primeval forest, where the wind speaks in audible but foreign tongues when rippling through the dense canopy of leaves, there sunshine is lost in the thickets of heavily muscled branches and the presence of danger lurks in the perpetual gloom of sovereign wilderness where snarling threat inspires fear. But the imaginative human mind seeks to harness this terrible power, to direct the flow of animal nature, even daring to call out the phantom essence that stirs beyond the known, that which animates exploding stars and sets us all in motion. To decorate means, to grace with what adorns, honors, enriches or beautifies, to produce an immediate sensory satisfaction, and to enhance in attractiveness. Lingering in the word, adorn as it meanders throughout time, carried from its Latin origins, are traces of the ideas; to order, arrange, equip, provide and embellish. Like-wise in the word decoration we find the intent, to furnish with something becoming. For the Romans “decus” was to honor, while “dignus” meant to declare the worthy. Further back, the Greeks said “dokein” meaning, to seem good or to think. And reaching back even further into the shadows of entomology Sanskrit began this journey with the word, “dasasyati” meaning, he worships or favors. So by employing decoration we are approaching the fearsome chaos of untamed nature in a worshipful (honorable / respectful) manner when we perceive beauty in the awesome. This idea reminds me of the decorative motif of bay laurel wreaths presented to the heroes of the Pythian Games and since, used as a ubiquitous symbol of honor in decorative art. 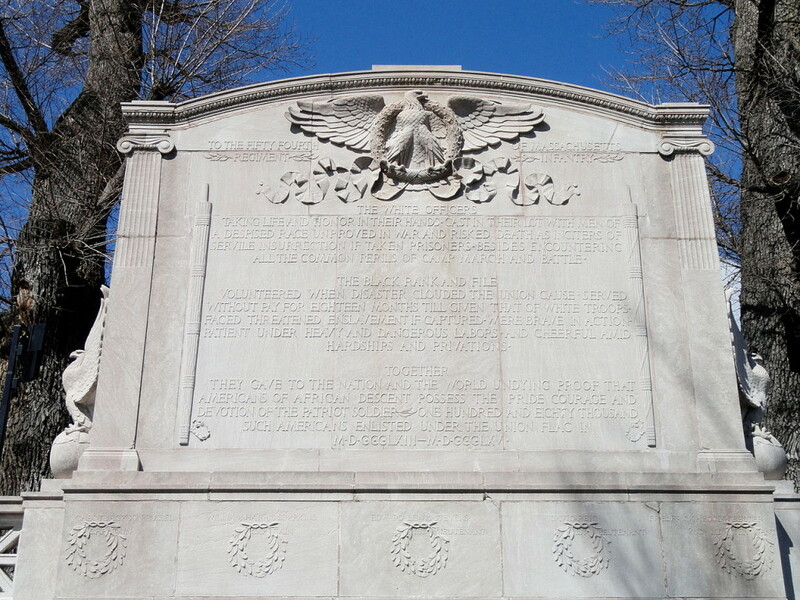 You can see a handsome example on the back of the Shaw Monument in the Boston Common where a parade of wreaths, carved in limestone, honors several officers of the 54th Regiment of the Union Army in the Civil War. The source of this motif is laurel bows gathered from trees growing in the forest of the Vale of Tempe in Thessaly, Greece where a temple dedicated to Apollo was built in ancient times commemorating a wild place where the nymph Daphne was transformed into a laurel tree to escape the lecherous advances of Apollo. 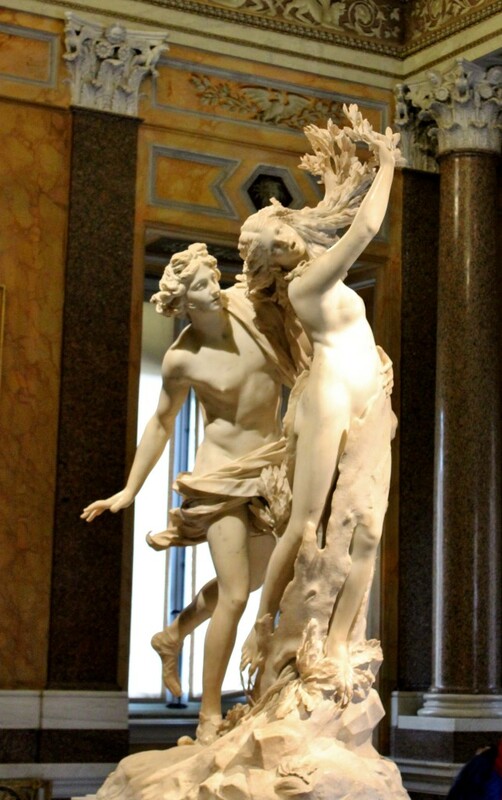 This is a pregnant symbol of virtue triumphing over brutal lust and an example of transformation. The phenomenon of transformation is almost synonymous with decoration and decorative devises. 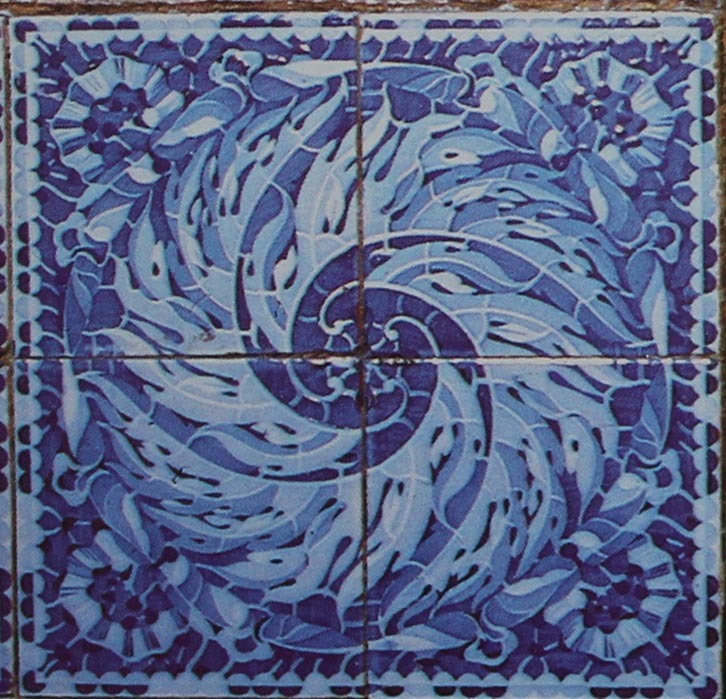 Various materials have been employed throughout thousands of years to represent objects (animals, people, trees, flowers) or elements (air, earth, fire, water,) into decorative designs. The example I speak of above, the Shaw Memorial, where limestone, a naturally inert rock, is sculpted to represent laurel leaf wreaths plaited from pliable tree branches – or on the same monument – powerful eagles who are birds of swift decisive mastery of the skies, these transformations stretch the boundaries of the limestone to fantastic flights of fancy through transformation of its intrinsic property, immutable stone. One of the subliminal messages of this kind of artistic transformation is the ancient spiritual realization that all things within the universe are one. Before you dismiss this as purely visionary fancy and a concept reserved for religion or philosophy, please remember the scientific precept that all matter is energy and all energy is mater and both are in a constant state of flux becoming the other. This is a simplification of advanced physics and a point hotly under debate but please allow my reference while the scientists hammer out the details. Another example of this idea may be found in the phrase often quoted in the seventies, “You are what you eat,” drawing attention to the lingering influences remaining after digestion has transformed mater into energy. 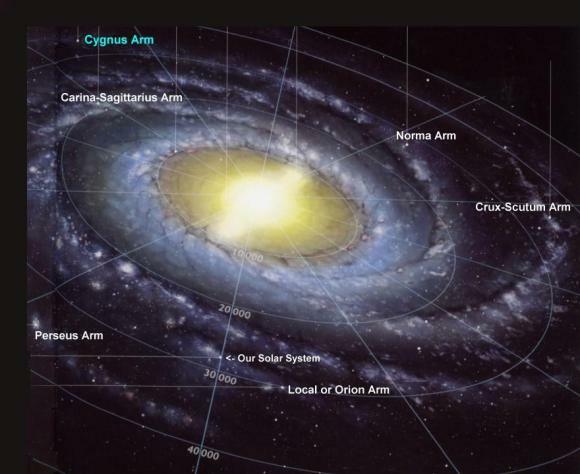 Transformation can be most beautifully observed in the structure of our own “Milky Way” galaxy where the ever expanding, circular arms, composed of millions of heavenly bodies in the form of stars, gaseous clouds and dust, form unfurling spirals. A locally applied example of this decorative motif can be seen in the pediment of the Cathedral of St. Paul, Tremont St. across the street from the Park St. T station. 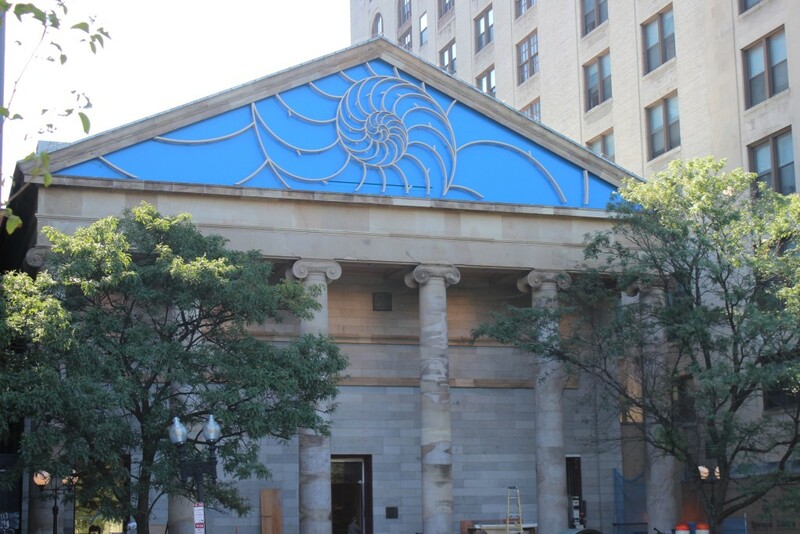 There the decorative sculpture by Donald Lipski, entitled, “Ship of Pearl” is a representation of the interior structure of the chambered nautilus. 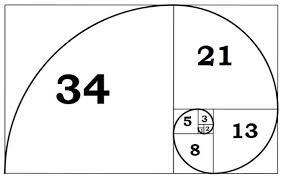 The spiral shape follows the Fibonacci sequence which when diagrammed graphically is seen as an ever increasing spiral. This mathematical formula was expounded in the west by Euclid of Alexandria in his book, “Elements” in which he defines the ratio of phi. It is also know in Greek, Roman and subsequent modern European aesthetic studies as the “Golden Ratio/Golden Mean, or Golden Rule” and has its origins in India where the Vedic mathematicians (ca. 1500–500 BCE) were using numerical notation to diagram the rhythmic cadence of epic poetry which also follows a sequence that when visually diagrammed forms the archetypal figure of an unfurling spiral. In this way “becoming the other” is the underlying current and invisible message of representative decoration that lingers at the periphery of our perceptions. When we translate, in our minds eye, the limestone wreath to the idea of honor, we are embracing the universal truth of beauty, interpreted by human understanding allowing us to approach the awesome. 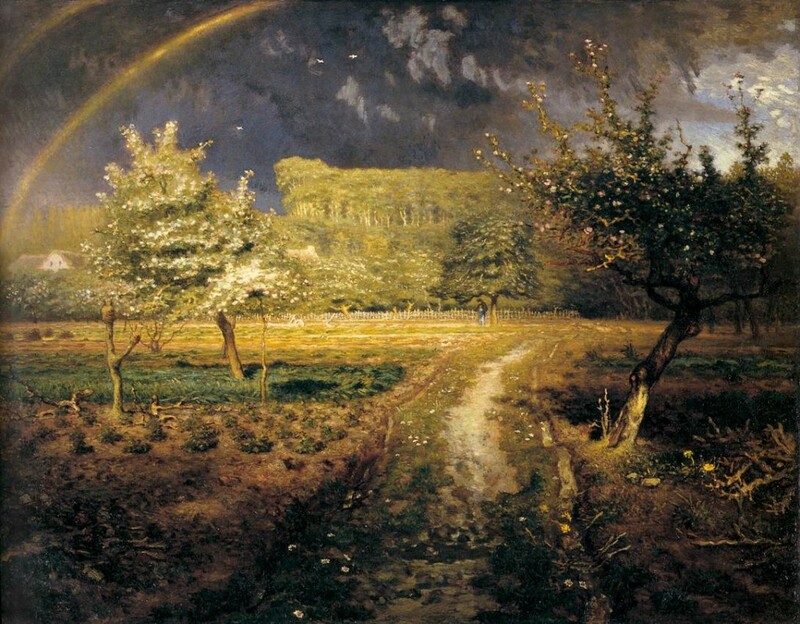 It is the audacious courage of the pilgrim, compelled by an intoxicating thirst to approach the divine, which leads us to the burning bush, the sacred place where the miracle of transformation, a fire that does not consume, is enacted. This paradoxical revelation of the eternal can be thought of as perpetual change. Carefully articulated metaphors of decoration can permit us to approach the primeval forest where “snarling threat inspires fear,” and see it through the artist eye as beautiful. When we undertake the disciplined skill of learning to draw in a representational manner, we are compelled to carefully study the visual world. The more the student practices this skill the more “alive” her eye becomes. In the end result it is as much the exploration, understanding and expansion of the phenomenon of “seeing” that is developed and accomplished as the dexterity of the hand to manipulate the pen and produce an image. In a similar manner when a visual subject is studied in depth the structure of its composition is increasingly revealed. 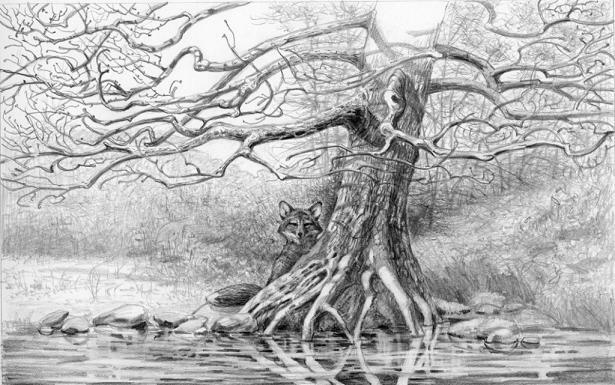 When first we draw a tree, we stand back at a distance in order to depict the entire thing as it appears and behaves in a larger landscape. We may want to note the force of the wind moving the canopy of leaves in a certain direction. Or we may be intent upon the effect of rain darkening the color of the foliage. Perhaps our attention is focused on the shadow effects that form beneath the branches or we become enchanted by the “shadow lace” created by bare branches that decorates the pristine crust of icy snow in winter. As time rolls on and we return to our tree the following Spring the miracle of life awakening enthralls us and we concentrate on drawing the minute changes that appear as buds become flowers and flowers give way to unfurling leaves. This changing drama, with all its urgency of rapid transformation compels us to make ever more detailed studies of individual leaves and the complex structures that compose it. Not satisfied with our own eye we enlist the aid of a magnifying glass and discover worlds of infinite complexity residing within the common leaf and so, excited by these discoveries we take our unquenchable thirst for knowledge of our simple leaf, which has by now penetrated the place of our dreams, and we come to adore the sacred beauty that fills our hearts with awe and this wondrous admiration becomes the subject of our drawing. We are transformed and become the tree. Can you feel the searching roots delving into the mysterious earth? This is the place of darkness where transformation germinates light. 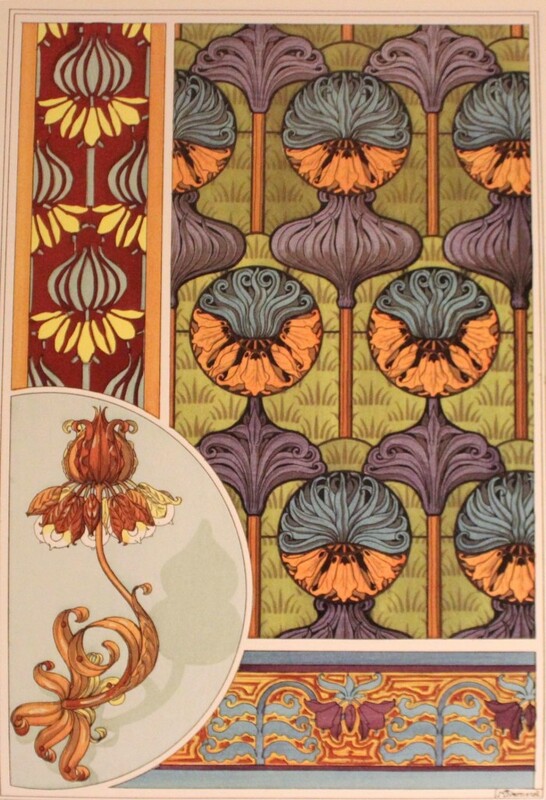 After millennia of exhaustive observation and careful mastery of capturing the visual world, we are left with a bulging portfolio of drawings, paintings, sculptures, designs – countless generations of knowing – rich techniques of seeing, and this material begs be used to embellish and decorate with the intent of adding grace and honor to the human constructed environment. A classic exercise to develop design and decorative schemes is to take a single specimen of the natural world, a flowering plant, reproduce its visual appearance in a literal manner, often from several angles or view points. Then hone in on the structural details of how this plant is formed, visually extracting the pattern, outlines and colors of those details and abstract these component parts in a stylize pattern to be applied to any number of material applications in all realms of manufacture. It is by these methods of design analysis that we learn to translate the language of seeming chaos with all the overwhelming complexities of the natural world. It is with the tools of applied design that we learn to “see” beyond the limitations of our single existence. Aided by the collective power of combined imaginations we can begin to approach the terrible magnificence and enormity of danger lurking in sovereign wilderness. 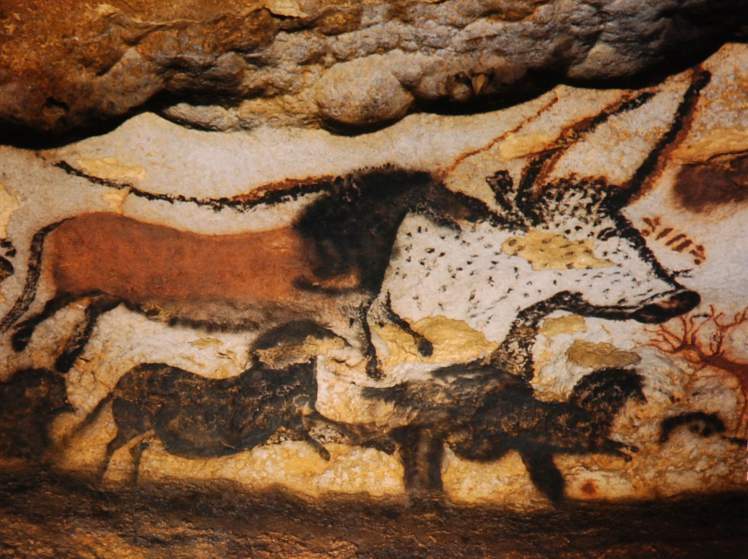 Here on earth and beyond our planet we can project out into the universe to that place which is our destiny, that place that the visionaries of Lascaux diagrammed with star maps using the images of wild beasts, so that they might tame the threat and perceive beauty. This entry was posted in Decoration and Transformation on September 11, 2016 by ioryallison3.